Week 1 has ended and the LITs (Leaders in Training) are already leaving their mark on camp. From the very first day stepping off the bus back at their summer home, the LITs brought the positivity to camp that only our seasoned veterans can. 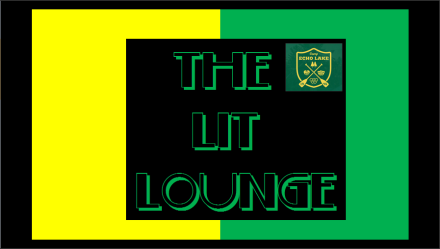 The first night started off with a bang, when the BRAND NEW LIT lounge was revealed to the 2018 crew. In the first couple of days, our LITs underwent their orientation, completing activities that focused on group communication, leadership, team bonding, and responsibility. Some of the highlights of orientation included: goal setting with Chris, raccoon tails with Sam, communication games with Susie, and painting murals for the LIT lounge with Meg. We also took our awesome LITs off camp for a Walmart run, where they went bananas for things like dinosaur hats and tons of snacks, and on a night trip to yummy Martha’s to cool off from this heat. The first week also brought their first opportunity to be role models on camp by working with our younger campers in their groups. Every main village group is assigned two to three LITs every week. The younger kids have, of course, been LOVING them. However, saving the best for last, the highlight of the week was definitely the LITs leading the camp in the first Friday Night Services of the summer. The LITs decided to talk about the importance of self-love by discussing aspects of self love such as comfort zones, attitude, support systems, and confidence. They really showed the rest of camp what services are all about…being genuine, spirited, and honesty. If you haven’t heard, TRIBAL HAS STILL NOT BROKEN! At FNL head staff pulled off a pretty convincing “fake break”. As the second week begins, everyone on camp anxiously awaiting the break. 1, 2, 3, 4 We want Tribal War !! Keep you posted!!! !